When trying to get control of skin picking disorder (Excoriation disorder), hair pulling disorder (trichotillomania), and other body focused repetitive behaviors (BFRBs), there tends to be a lot of discussion about fidgets. But are they the cure? Do they help? Do we have to have silly looking, colorful pieces of plastic laying everywhere? Fidgets, also called fiddles, are novel things to play with instead of picking or pulling. Many people who struggle with trichotillomania and skin picking disorder find using fidgets helpful, but this is only a small part of effective treatment. They keep our hands busy so fingers are hopefully less likely to wander into searching for the next pick or pull. They sometimes meet sensory needs, such as amusing a bored tactile system. This is like eating a healthy food when you are hungry instead of junk food, except for your 5 senses. Other times fidgets function as a behavior replacement strategy, so you train yourself to play with the fidget instead of your skin or hair. 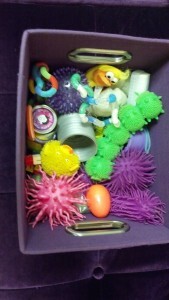 Fidgets are also used to support focus for ADHD and can be calming when stressed out. 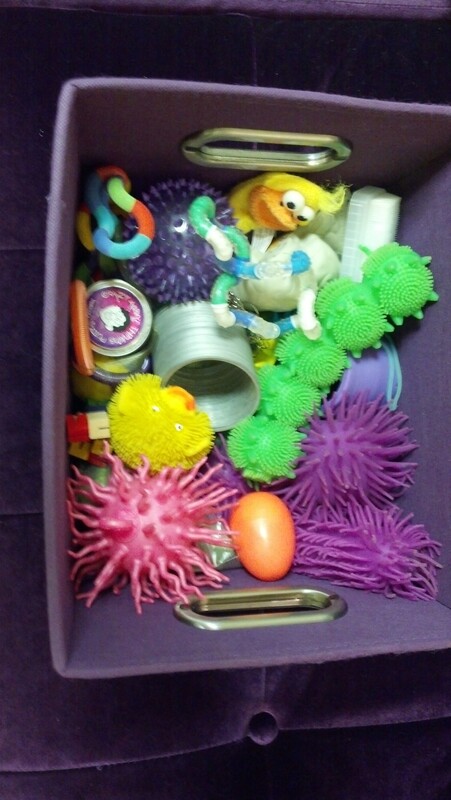 In my clinical experience, fidgets do have their place in many treatment plans and do help a lot of people; However, they usually work best within a more comprehensive treatment approach. Since many fidgets are kind of goofy looking and are far from subtle, clients ask about more covert ways to use fidgeting as a strategy, especially for public and professional settings. Explore and play with regular, everyday items that are already in your environment. Cell phone cases with bumps, ridges, or textured decorations. Pillow cases with ruffles, sequins, beads or embroidery. Jewelry is great since it is as accessible as your own hair and skin! Find an everyday piece that keeps your interest and is tough enough to hold up to stretching, scratching, and bending. Clothing, you wear fidgets everyday! Seams, scarf tassels, folds in the fabric, frays on your jeans. Nail art- especially glitter polish or little stones glued on. Mindfulness. Mindfulness. Mindfulness! A quick meditation or mindfully engaging in the task at hand. Take on what you have been avoiding by picking or pulling, a hard conversation or an emotion maybe? Assertiveness & Boundaries. Ever notice how we frequently ruminate over conversations we wish we handled better while picking or pulling? HALT! Are you Hungry (or thirsty), Angry, Lonely or Tired? Meet that need directly. ‹ Moving on November 29, 2015!